Are you as happy about Fall as I am? I sure hope so! 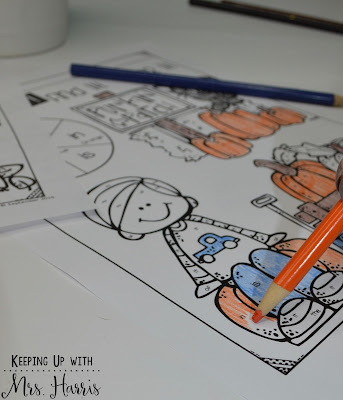 This is Meghan from Keeping Up with Mrs. Harris and I am STOKED about the fall months that are finally here. This is my fav season for so many reasons, but down here in GA it is for real hot and humid. We are looking forward to a little relief from this sticky hot mess we have going on. 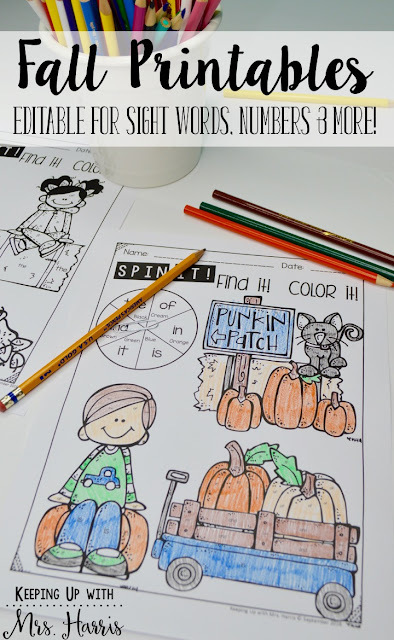 To celebrate the arrival of Fall, I decided to go with a fun and brand new freebie for you! How does it work? Well, take a look! You can edit the 6 sections on the spinner with letters, sight words or even numbers! To play, students need the colors listed on the spinner, a paper clip and a pencil. They spin their paperclip and then color one section with the matching word, number, etc. Continuing playing until time is up or the sections are all colored in. 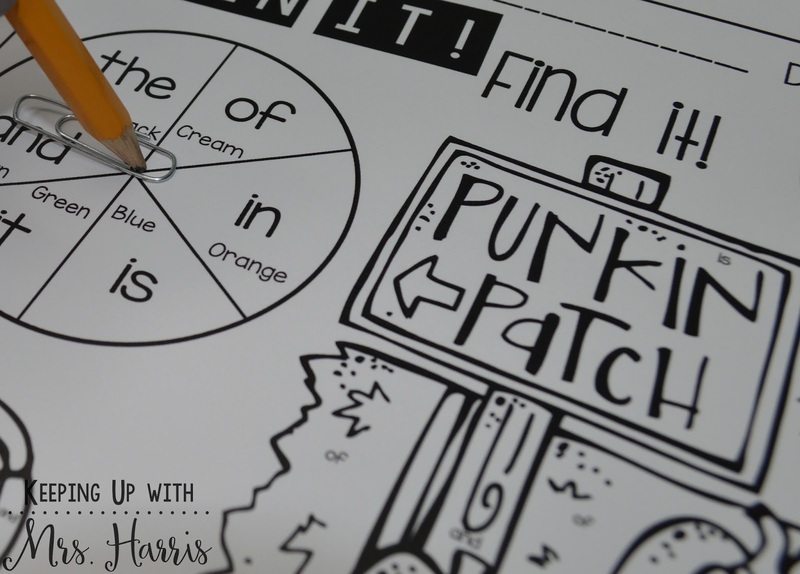 You can even allow your students to play this with a partner to extra practice and scaffolding. 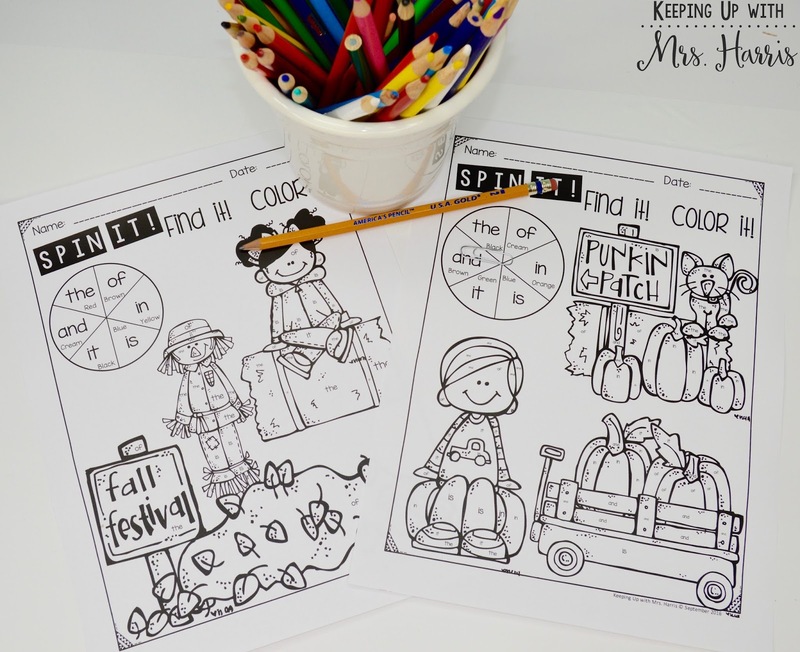 So much fun, that I bet your students will want to play twice! 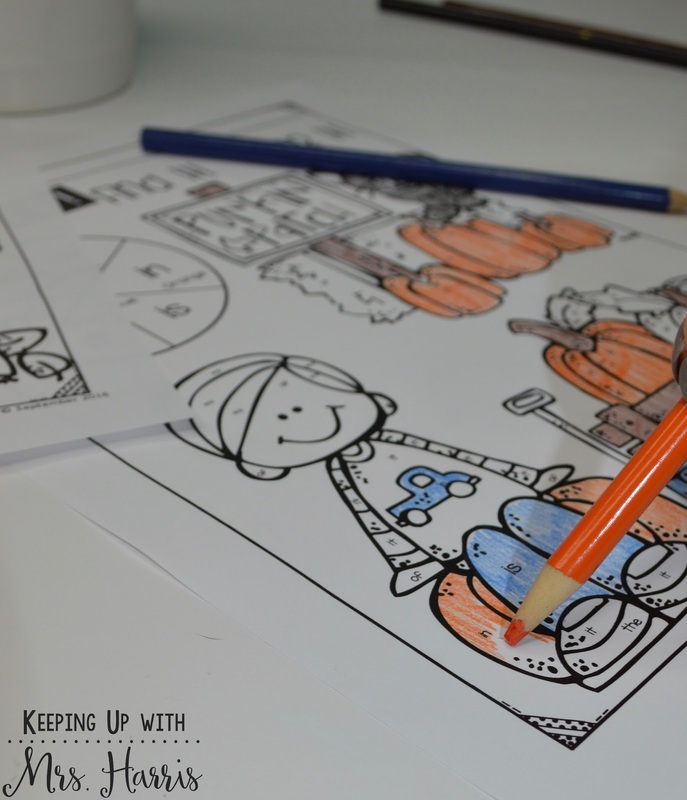 There are two activity sheets included in this freebie so you can celebrate Fall with me! 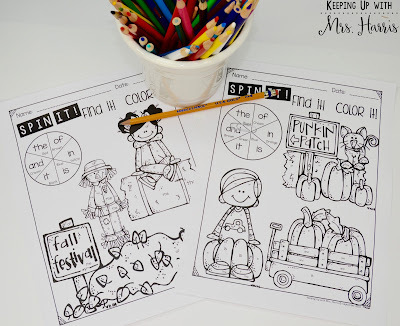 So head on over by clicking here and download this fun set of printables for your classroom use. Be sure to share this post on Facebook with your friends so they can download too! Happy Fall y'all! G club Online Casino Gambling Sites Betting Style For every gamer, every gambler has access to online gaming investment services at anytime. We also have a variety of online casino games. Every player has access to the services of online casino games with the best.